GANDHINAGAR, (THE TRIBUNE, INDIA)--Highlighting the Narendra Modi government’s focus on Africa as a top priority in its foreign and economic policy, External Affairs Minister Sushma Swaraj on Saturday said that strong India-Africa relations would redefine the contours of the international order on more egalitarian lines. Speaking at the inauguration of “Africa Day” during the Vibrant Gujarat Summit here, Sushma Swaraj said India’s long-standing ties with Africa had acquired vibrancy and dynamism during the last four years and the government had thus decided to open 18 new embassies and high commissions in the continent over the next few years, taking the total number to 47. She said the first of these missions was already opened in Rwanda last year. The Minister said that Africa had emerged as an important trade and investment partner for the country with India-Africa bilateral trade at $62.66 billion for 2017-18, an increase of nearly 22 per cent over the previous year. “In recent years, there has been a surge in Indian investment in Africa. India is the fifth largest investor in Africa with cumulative investments of $54 billion,” she said. “We view the recent signing of the African Continental Free Trade Area as yet another opportunity to boost trade and economic ties with Africa. “Strong India-Africa relations will go a long way in redefining the contours of the international order on more egalitarian lines. 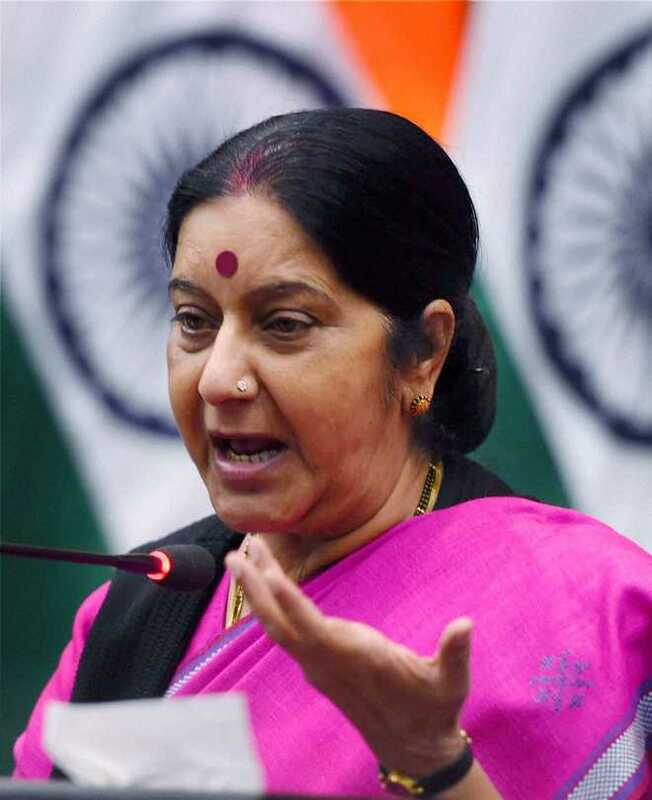 We should not expect anything less from this shining example of South-South cooperation,” Sushma Swaraj added. The Minister said India had always shared a special bond with the people of Africa and had supported their liberation from colonialism and from apartheid. “We view our substantive engagement with the African countries through the prism of our own experience. When we became independent, we found that external assistance came with conditionality, both overt and covert, with prescriptions that would have constricted our sovereignty and independence,” she said. “As Africa pursues Africa-owned and Africa-led development, we are determined to anchor our partnership on the principles of equality, mutual respect and mutual benefit.” Sushma Swaraj said that Prime Minister Modi had declared Africa as top priority in India’s foreign and economic policy, which would be guided by African priorities. “It will be on terms that will liberate African potential and not constrain African future.” She said that in the last four years, India’s long-standing ties with Africa had acquired vibrancy and dynamism through an “unprecedented intensification of political engagement” with 29 visits to African countries at the level of President, Vice President and Prime Minister, apart from several other ministerial visits. She said the visits had taken place from both sides. “In addition to the visit of 41 Heads of State or Heads of Government who attended the third India-Africa Forum Summit, we have hosted over 35 leaders from Africa for various events in the last four years,” the Minister said. Sushma Swaraj said a total of 189 projects in 42 African countries for nearly $11.4 billion were being implemented under Indian lines of credit which have had a positive impact in many African countries and were changing the lives of its people. “In a new initiative, we have offered construction of Mahatma Gandhi Convention Centres in Africa as grant assistance, in the context of the 150thbirth anniversary of Gandhiji.” Emphasising that both India and Africa faced the serious of terrorism, the Minister said preserving peace and security, countering terrorism and extremism was an important element of India’s engagement with Africa.